After a lot of hard work, I have finally completed my MA in Textile Design. The final show opened at the American Museum in Bath on 20th October. 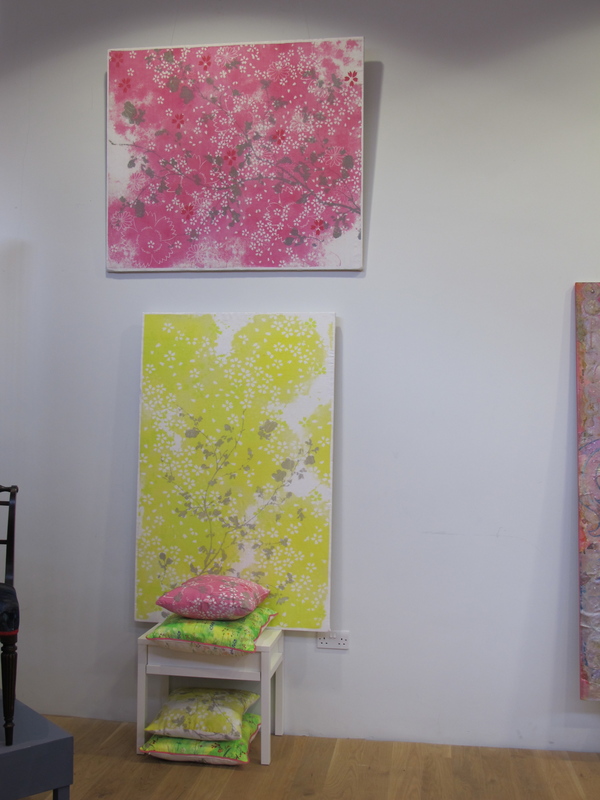 My show consisted of two distinct colour ways and stories. The first has the theme of “The Summer Garden and Meadow”. The second image shows my “Night Garden” range. 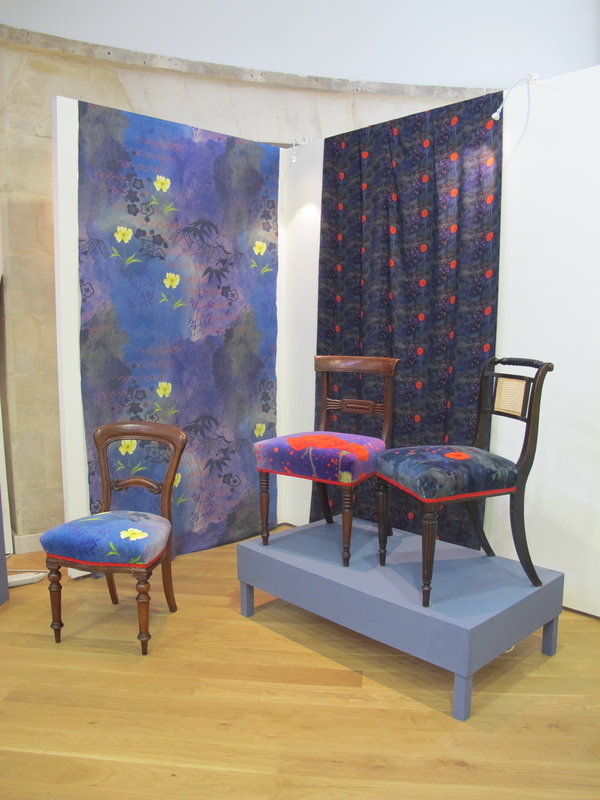 I am particularly proud of my upcycled chairs covered in luscious furnishing velvet.